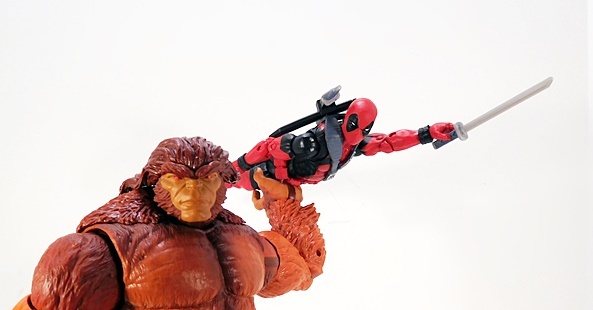 I’m back this afternoon with the second half of my Marvel Monday Double-Feature! 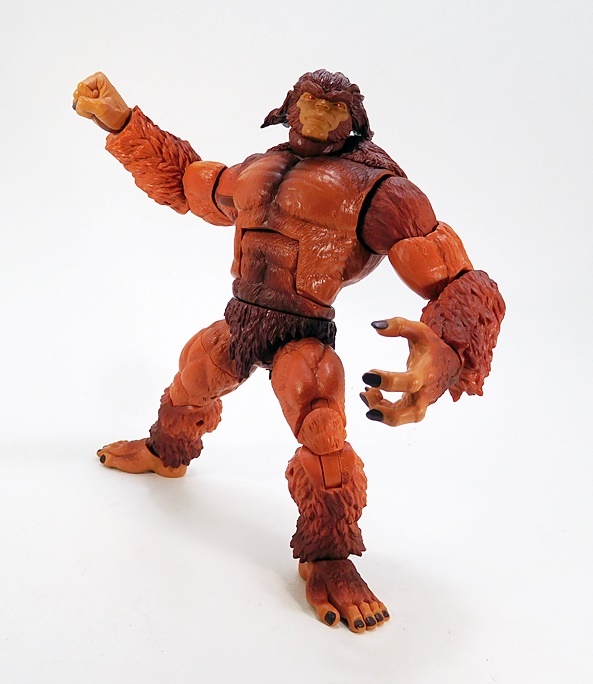 As always, I’ve been a good little collector and bought each of the individually packaged figures from the Sasquatch Wave, and now it’s time for my reward… The Build-A-Figure Sasquatch! 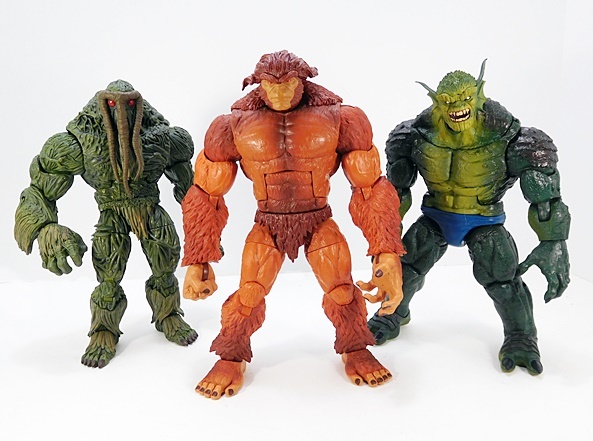 Sasquatch is about as simple as these BAFs can get. There are six pieces spread out over seven figures (90’s Deadpool didn’t come with any! 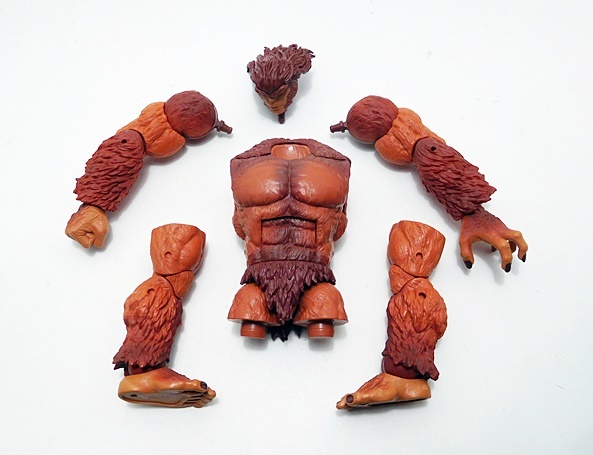 ), and those pieces include the arms, the legs, the torso, and the head. The pieces went together real easy and the end result a big shaggy orange hunk of Tanaraq. Indeed, I absolutely love the way this figure turned out, but I feel a little bad because I don’t really have a lot to say about it. But that’s not the fault of the figure, as it does everything it needs to do quite splendidly. 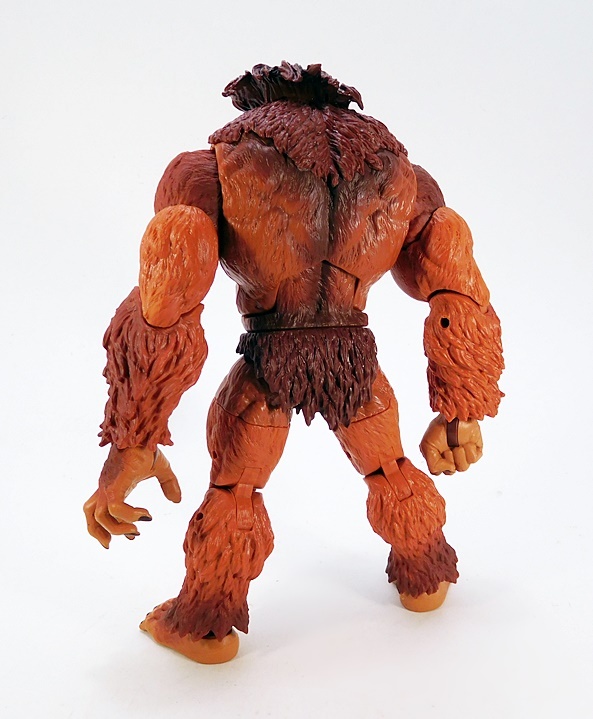 The sculpted shaggy coat on the body looks great and I love the gradations in coloring from orange to brown. The coloring looks especially nice on his chest and back. I also appreciate that they added a little extra carpeting around his upper back and shoulders. 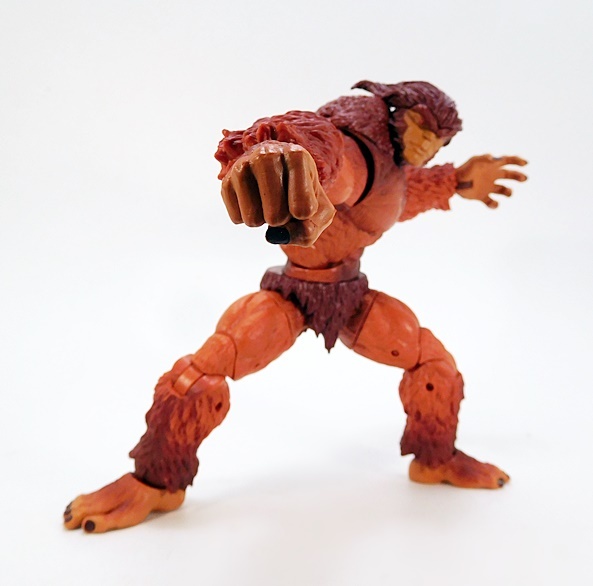 The right hand is sculpted into a fist and the left into a grasping hand, each of which offer up some nice options for posing him. The sculpting on the feet is pretty spectacular too. If I had to nitpick anything here, I’d say the darker color of the wrist hinges is a little distracting against the lighter color plastic of the hands. 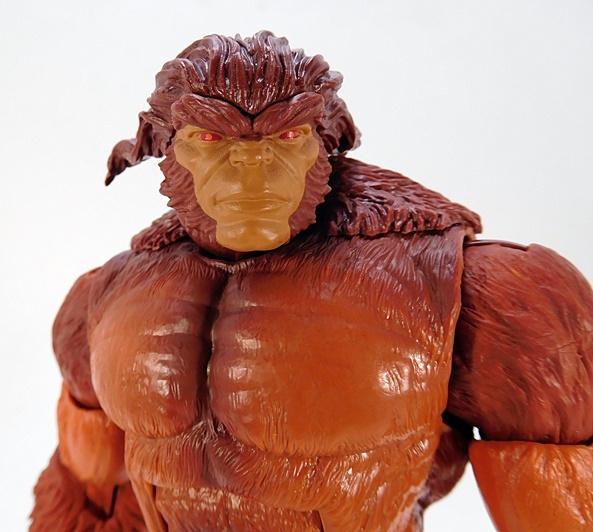 The head sculpt is excellent even if the facial features are a little soft. I love the broad shape of the face and the high placement of the nose. The eyes are red with pink pupils and there’s a very little bit of shading around the face itself. 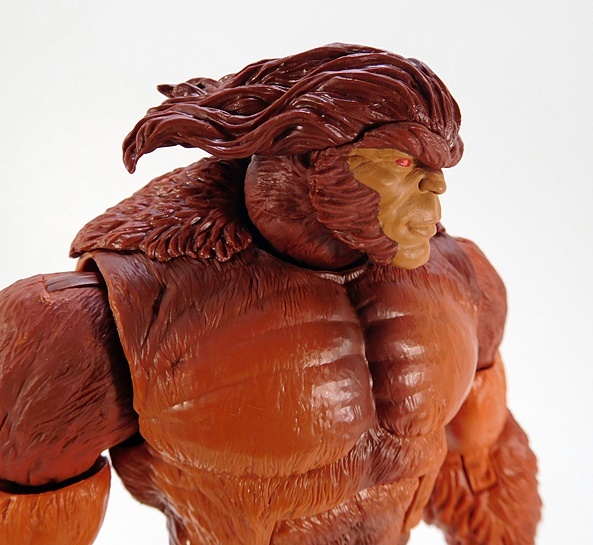 The bushy eyebrows and mutton chops which frame the face are well done and I dig the way the rest of the hair blows back, allowing for a bit more range of motion in the neck articulation than he might have had otherwise. 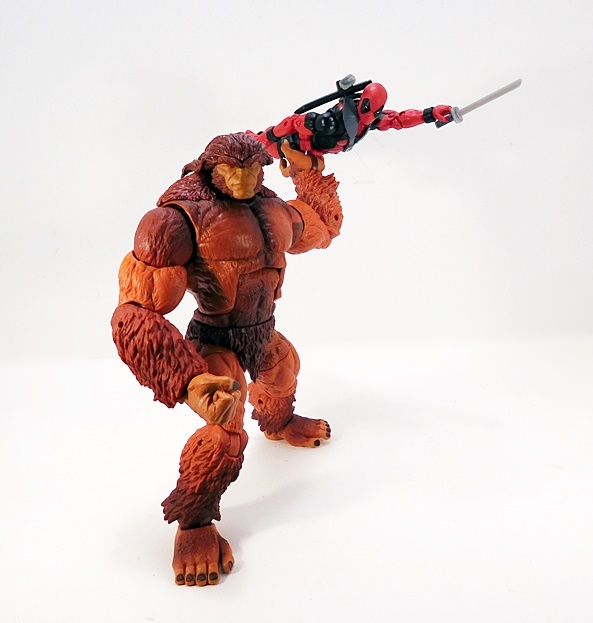 Speaking of articulation, Sasquatch has it all where it counts. 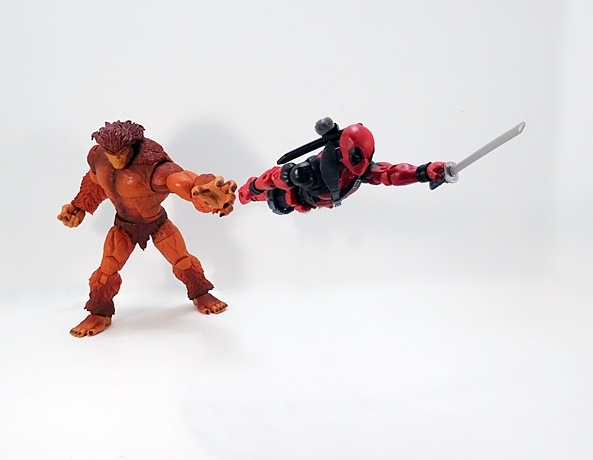 You get rotating hinges in the shoulders and wrists, single hinges in the elbows, and swivels in the biceps. The legs have rotating hinges in the hips and ankles, double hinges in the knees, swivels in the thighs, and lateral rockers in the ankles. There’s a swivel in the waist, an ab-crunch hinge, and the neck is ball jointed and hinged. The chunky joints on this guy feel great and he’s loads of fun to play around with. 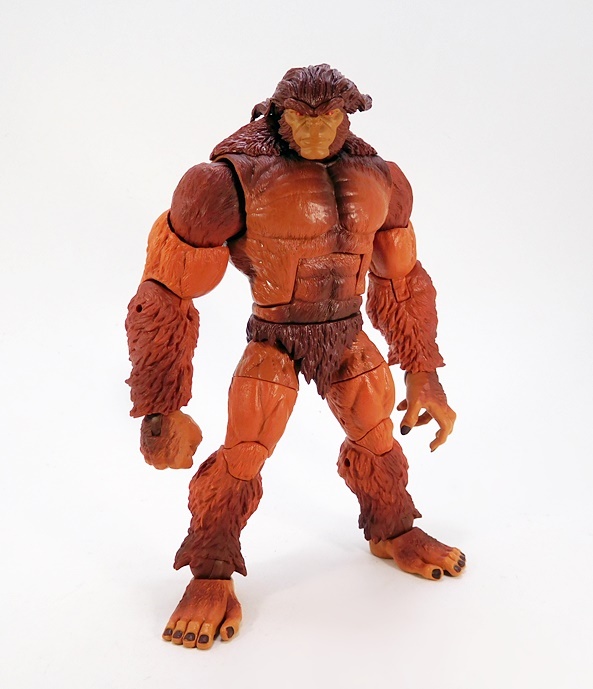 I think my biggest complaint here is that Sasquatch is going to look really lonely on my shelf and I wish he had been the BAF in an Alpha Flight inspired wave. 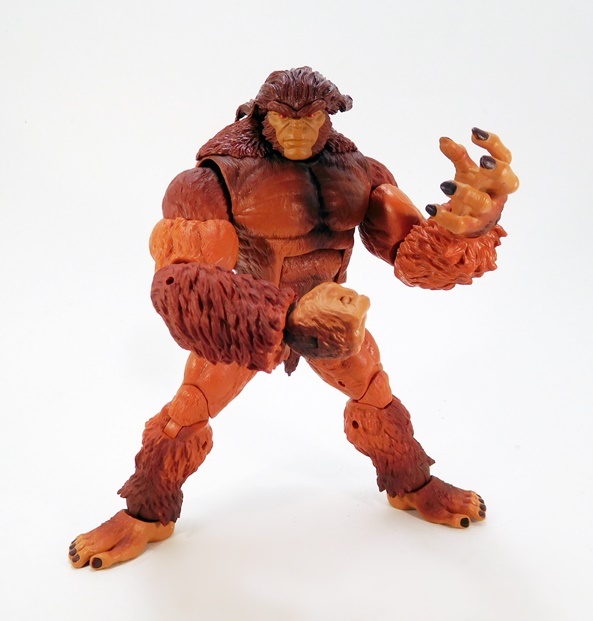 Yeah, that would probably never happen and I’m certainly glad to have this figure, but it also brings back those bitter feelings over the ridiculously exclusive Puck BAF Wave. 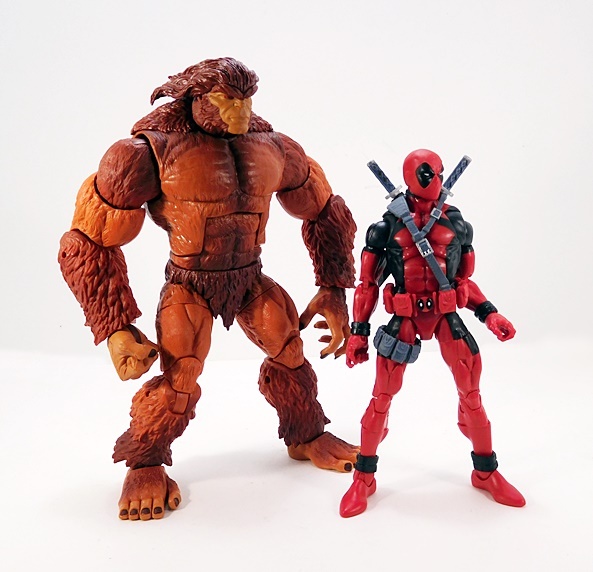 Hasbro gave us Northstar and Aurora in the 4-inch Marvel Legends line, so they are certainly a good bet to appear in the 6-inch Legends lineup eventually. 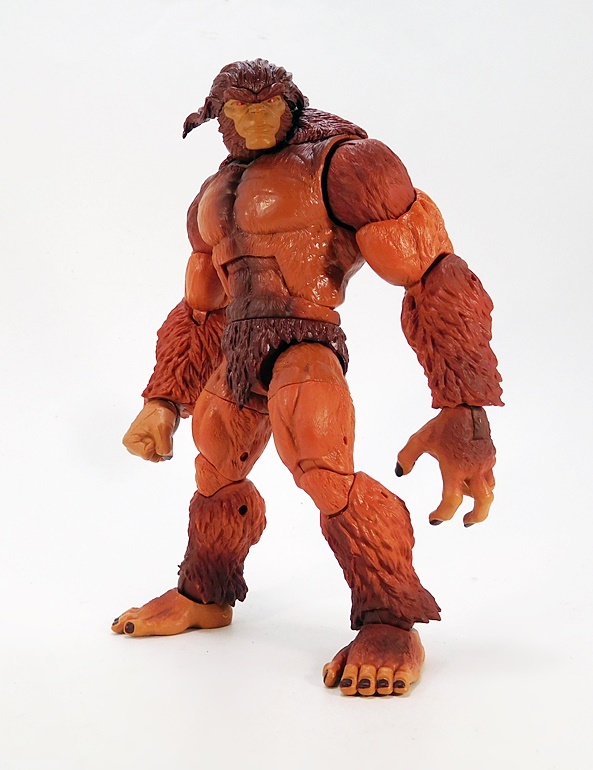 We did get a Guardian as part of the old Hasbro Marvel Legends line back in 2008 or so, and while I’d be tempted to go back and pick it up, that figure has not aged well, so I think I’ll hold off. Besides, it looks like we’re getting a new Guardian figure pretty soon. 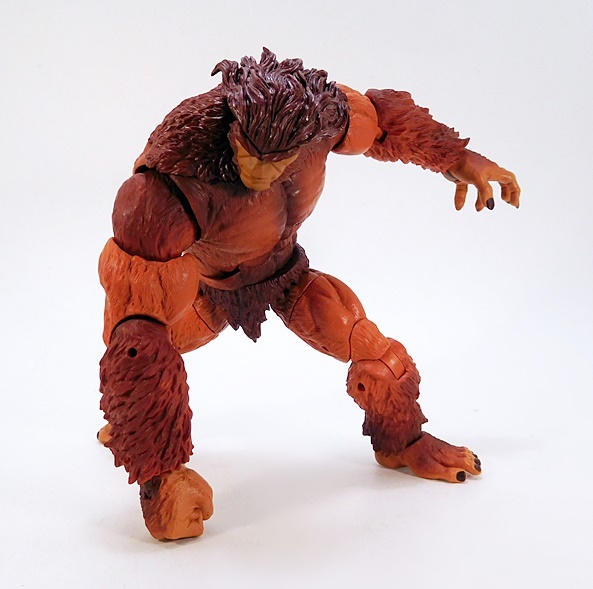 I guess for now I’ll just have to keep Sasquatch on that miscellaneous BAF shelf that I have down near the bottom of the case. 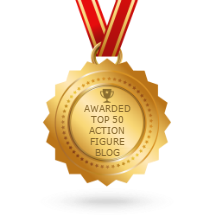 As for this Wave, I think it was an excellent assortment of figures and I was thrilled to be getting most of them. 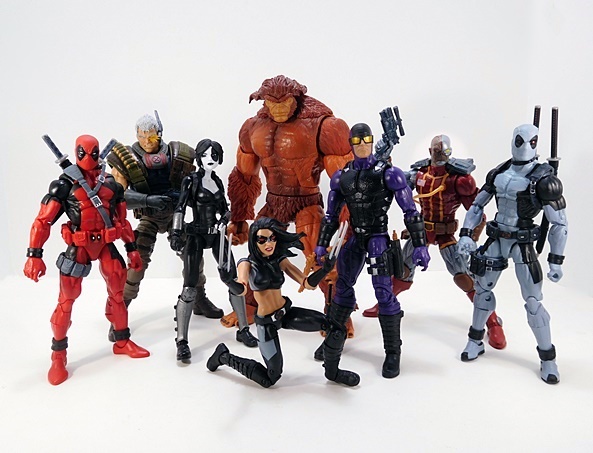 90’s Deadpool and X-23 were musts for my shelf, Cable and Deathlok turned out fantastic, I’ve wanted a do-over for Domino for a while now, and even Paladin, my least anticipated figure in the bunch, turned out to be pretty good. 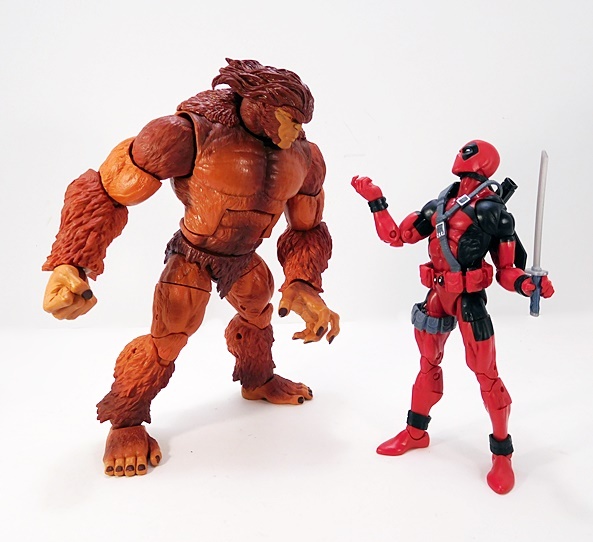 And while I wasn’t terribly keen on getting another X-Force Deadpool, he’s such a vast improvement over the last retail release, I’ll count him as a very nice surprise. Next week I’m going back to spinning The Wheel of Legends. Which wave will it wind up on? Lizard? Thanos? Sauron? Apocalypse? Cull Obsidian? OMG… I’M SO FAR BEHIND!! !